"Michael always surprises me with just the right word of advice, to raise the level of my work up a notch or two. Under Michael's guidance, I have explored techniques that have enriched my learning experience and made me want to do more, and do better. And a real bonus is the sense of camaraderie that evolves between Michael and his students." "I have taken a few watercolor painting courses over the past 15 years and never felt satisfied with the quality of work I was producing, that is until I started attending Michael Spillane's "Spillane Studio of Fine Arts". No instructor has ever asked me "What do you want to do?". Michael's approach is to help artists, no matter how experienced, to further improve their skills so they can reach their artistic goals. He provides honest, constructive feedback always challenging his students to push themselves and gain confidence in their abilities. Through Spillane's direction I discovered a new passion, botanical watercolor painting, which lead me to develop a series of detailed, realistic watercolor paintings of fruits and vegetables. In the last two years, my painting skills have grown tremendously and I am much more confident and happy with the quality of work I have produced." "It has been a joy to watch this process unfold. Having no previous drawing or painting experience, I am now creating paintings that I never thought would be possible, all due to Michael's guidance. Michael Spillane is very giving of his time and talent, and his love of painting and teaching really shows." "Since 2001, I have studied a wide range of drawing and painting techniques and mediums with Michael Spillane. His patience and fortitude have helped me overcome many obstacles in the learning process. I feel that anyone lucky enough to be able to attend one of his courses or workshops will not only broaden their knowledge, but also come away satisfied with the work they have accomplished. I am proud of my own achievements and owe this to Michael." "Michael is an inspiring instructor who openly shares his artistic knowledge and passion with his students. By providing valuable technical support and creative guidance, he has been able to help both beginning and experienced artists achieve their goals. Michael has created a professional and intimate learning environment where I have always felt comfortable to explore my artistic ability with a variety of mediums. I have attended many of Michael's courses and have greatly benefited from the personal attention and care that he has shown." "Five months ago I took my first drawing class. Already, much to my delight, I've completed portraits of both my children in charcoal and pastel. Michael is an excellent teacher, guiding with patience and humour, encouraging his students to go further than they think possible. I've acquired a love of drawing, and a new set of skills which far exceeded my own expectations. Thanks, Michael!" "As a student at the Spillane Studio of Fine Arts, I highly recommend Michael's teaching. You learn from the ground up and produce beautiful pieces of art." "I have taken art classes with Michael Spillane for six years. My first class consisted of botanical drawing and painting. I was inspired to continue with Michael since his encouragement takes you further towards advanced levels of painting. With Michael's assistance, I have drawn and painted in a variety of mediums including watercolour, oil, pen & ink and graphite. Each work was an educational experience and I learned many different techniques. The studio atmosphere consists of small groups thus allowing for individual assistance." "I took one watercolour class over 25 years ago and hadn't painted until attending Michael's classes. I felt nervous the first class but Michael made me feel comfortable and relaxed. He is a patient and knowledgeable instructor. I can't believe the artwork I was able to produce as a result of his expert instruction. I look forward to my classes each week and was reluctant to miss one. I have now started to paint more often and have actually given some paintings away as gifts. I didn't know I had it in me. Thank you Michael for your support and encouragement and I look forward to my next class." "Everyone should develop his/her artistic side," said a friend of mine. That's what got me started taking art lessons. But it was only when I attended one of Michael Spillane's botanical painting classes that I discovered my passion for painting. With Michael's guidance, everyone in his class is challenged and inspired to create beautiful works of art. I truly enjoy meeting so many friendly and talented people at Michael's studio." "I have taken drawing and painting classes with Michael Spillane now for several years and highly recommend his unique style of teaching. He has introduced me to many techniques that have allowed me to develop as an artist and to achieve my goals in portraiture." "It is my pleasure to write a short testimonial for Michael's classes at Spillane Studio of Fine Arts. Michael is a connoisseur of his profession and an outstanding art instructor. His range of expertise includes drawing, watercolours, oils, pastels, coloured pencils and charcoal. He is one of those teachers who imparts his knowledge and at the same time makes his students feel confident. Since taking Michael's art classes, I have progressed beyond my expectations, all the while enjoying the camaraderie of the group." 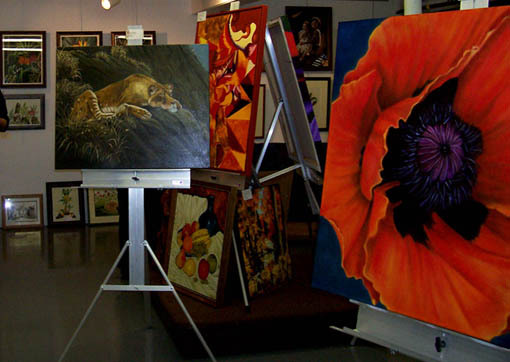 "This is the second year that I have taken oil painting classes with Michael. I find that he is generous with his extensive knowledge and encourages students to exceed their own expectations. I had very little experience with either painting or art in general, but with Michael's careful guidance, I have produced paintings that I never thought I could. Michael is truly a gifted artist and his enthusiasm for his craft translates into a teaching style that is both supportive and encouraging. "Michael is a wonderful teacher. With his teaching methods, I understand exactly what he wants me to execute in my painting. He gives me the enthusiasm to paint and has brought me farther than I ever thought possible. I have tried techniques that he has intoduced me to and I now use and enjoy them on regular basis." "Michael's teaching methods have helped me improve my work a hundredfold! 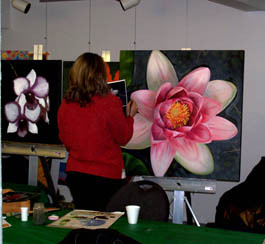 I am enjoying the classes immensely at the studio and feel I have learned valuable techniques which have made my botanical art far more realistic." "With Michael's encouragement and good advice, I am learning to layer and blend with coloured pencils to create beautiful and very realistic botanical drawings." "I was very lucky to find Michael Spillane six years ago when I was looking for someone to teach me how to paint in oils. I had no previous painting experience. Thanks to Michael's excellent teaching methods, infinite patience and contagious love of art, I now am able to achieve a quality of painting I never thought possible. Michael first taught me to draw from observation and then to understand the fundamentals of perspective and composition. Through the study and reproduction of classical paintings, I developed a good grounding in colour matching, underpainting systems, glazing and "white illumination" technique as used by such Renaissance masters as da Vinci. Michael's classes are always fun and inspirational." Working and learning with Michael at Spillane Studio of Fine Arts has been one of the most rewarding experiences of my life. I have gained a good understanding of painting with oils and learned that the process is as important as the final result. Michael is an extremely inspiring instructor who provides a rich learning environment complete with music, coffee and humorous anecdotes. I love it all and am here to stay!"